If owls live in your area, building and installing an owl box might attract a pair to your backyard. Some common owl species, like barn owls, are ferocious predators of mice and other rodent pests, so it makes sense to invite them into the neighborhood by installing an owl house. Read on for tips on owl house design. 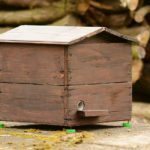 Your owl box plans do not need to be fancy to be effective, but you’ll need to figure out how to build an owl house that is the right size to be a nest-substitute for the type of owl you hope to attract the garden. Obtain information on the size of the owl species before you begin your owl box plans. For barn owls, a simple wooden box about 38 by 18 by 12 inches provides adequate room for a pair of owls and their young. For other species, the size will vary. Always use untreated wood such as fir, cedar or pine. Your owl house design must include an entrance opening located some 6 inches above the base of the box. For barn owls, this can be a square about 6 by 7 inches or an ellipse with a horizontal axis of 4 ½ inches and a vertical axis of 3 ¾ inches depending on your owl house design. Don’t forget to include drain holes in the owl box plans. It is very important that the owl nest box be built solidly. You don’t want it to fall apart after a family of owls moves into it. Correct owl nest box placement is also essential. Take the time to install your owl box appropriately. Attach it solidly to a stable post, the rafters of a barn, a tall tree, a barn wall, or any other handy structure. Consider placement when creating owl boxes so that you can include whatever attachments are necessary. In the ideal owl nest box placement, the box will be located near an open field so that the owls can glide directly into the box from hunting. You should face the entrance hole toward the north to prevent sun from heating up the box.